As the nights draw in and the weather gets chillier, there’s a sense of getting cosy, staying inside and entertaining at home. If you’re looking for some Christmas cocktail recipes, then we’ve got you covered… they’re sure to get you in the festive spirit. Not your typical English cocktail but a recipe that’s made it all the way from the other side of the pond and been embraced by Europe, we love this nutty and warming recipe. Nothing beats a combo of pistachio, hazelnut and almonds – all you need is a handful topped off with a dusting of ground cinnamon. 1. In a saucepan bring the milk, cream, vanilla, nutmeg and cardamom to the boil over a medium heat. 2. Once boiling take off the heat. 3. Whisk the eggs and sugar until thick. 4. Gently pour in the milk and whisk until combined. 5. Add in the bourbon; this will keep in the fridge for 3 days. 6. Before serving, beat the egg whites in a bowl until soft peaks form. 7. Gently fold into the eggnog mixture. We should all stop and pay tribute to the humble little juniper berry, which plays a critical role in one of England’s favourite drinks, gin. 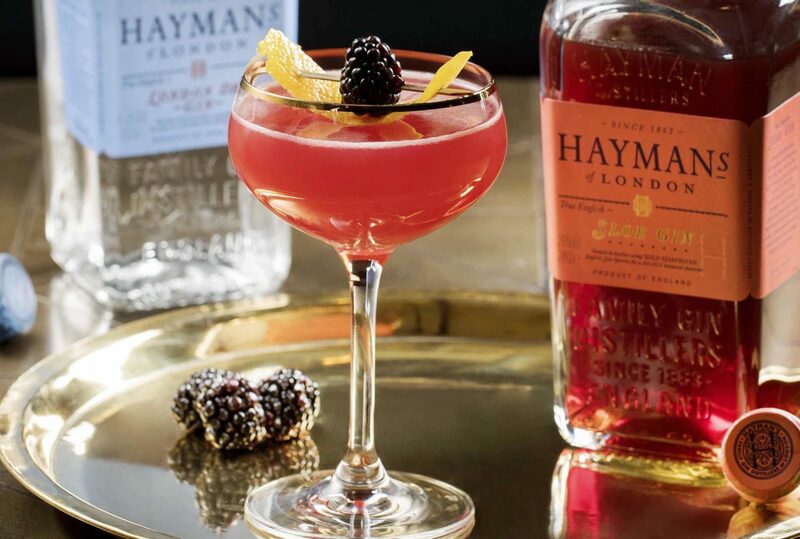 We’ve joined forces with the fabulous team behind Hayman’s Gin, a local London distillery, who kindly shared their delicious sloe gin recipe with us, known as the “WIBBLE”. While it requires some extra effort, home- squeezed grapefruit will retain the fruit’s natural sweetness without the bitter edge that can dominate shop-bought juice. Use pink grapefruit for a slightly sweeter finish, and white grapefruit for a touch of natural bitterness. This delicious “Beyond The Stars” cocktail from The Rum Runner – is going to have your friends dancing on the tables and hoping for an invitation to your next bash. Add all of the ingredients to a cocktail shaker and muddle fresh fruit. Fill shaker with ice and shake. Double strain over crushed ice and garnish.